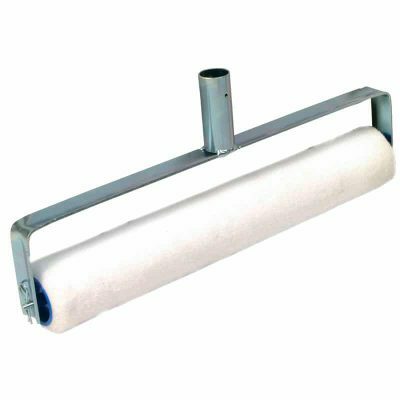 Flooring Rollers, low fluff FLOOR TRADE ROLLERS, fully bonded white nylon mid pile, for top coats, sealers & finishes These rollers are produced from fully bonded nylon nap to minimise any fluff loss when applying flooring top coats. Roller Frames, double arm, heavy duty with quick release clip. 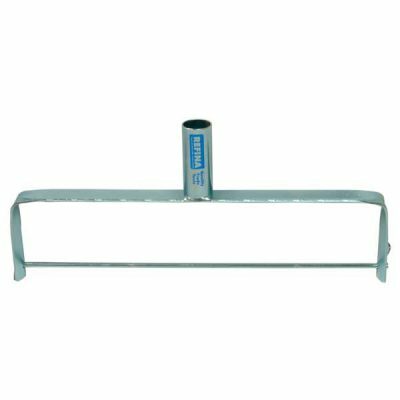 Zinc plated finish in all popular sizes from 9″ – 30″ For use with heavy duty Ø28mm wooden handles.